Hello July! I’m starting off the month on the couch + medical offices getting tests and ultrasounds to maybe finally diagnose my auto immune and other issues of why my body hates itself. 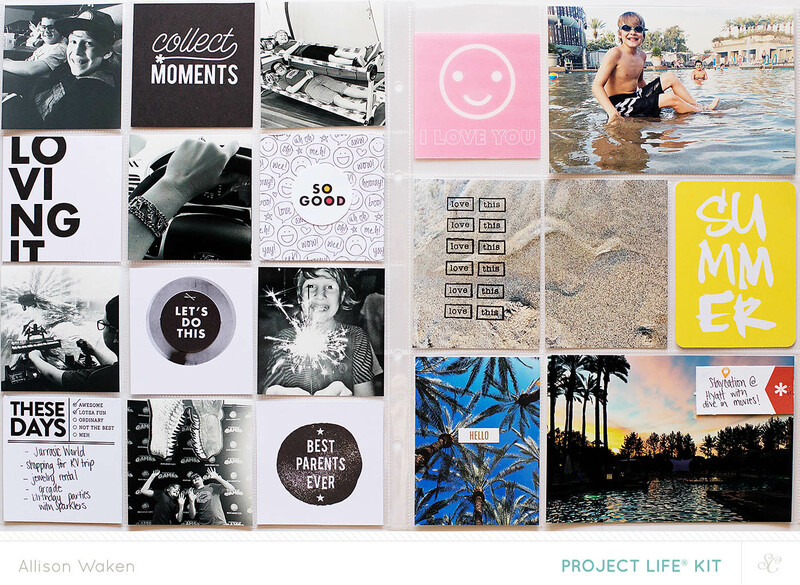 So re-living June through Project Life pages sounds like the perfect plan don’t you think? I love black and white photos, it makes color correcting photos SO much easier! 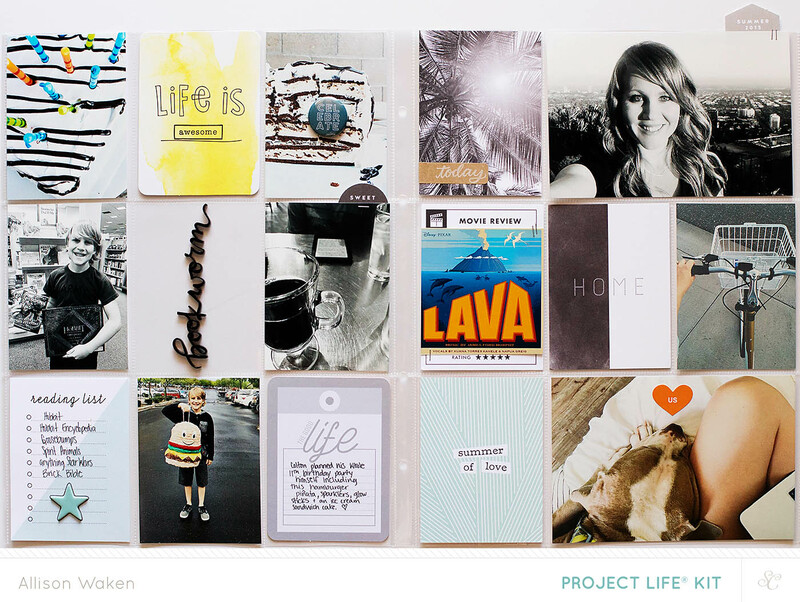 You can see more photos/details of each spread in my Studio Calico gallery (loving the new site). I’m thinking I’d love to start a little video series showing how I work through my photos and get them into my album each month. A little more than just process videos – more of me talking about how I tackle each step. This will have to wait another week or so though until my mouth sores are gone because talking right now is a little difficult. In the meantime, I’m challenging myself to use my “big” camera more. I have it for a reason right?! I mean I LOVE having my iPhone, but it’s just not the same. Anyone else thinking the same?